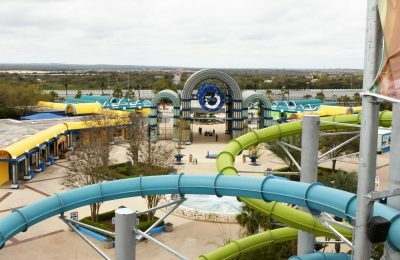 Aquatica San Antonio opened in 2012, and it fast became the best beach in San Antonio. The waterpark is getting ready to open it’s first major new attraction this Saturday, Roa’s Aviary. Roa’s Aviary is going to bring the signature animal connections that you would expect from SeaWorld’s Waterparks, and get you face to face with about 300 birds. The aviary is going to give guests the chance to not only interact with the birds, but to laze about in a tropical pool under a waterfall. We have your exclusive first look at Roa’s Aviary as it gets ready to open this Saturday! This exclusive first look at Roa’s Aviary shows the attraction from the beach, where guests will be able to enter the zero entry pool, and even hang out in sunken benches on the side. The picture showcases the huge scale of the attraction, and just how high up the birds will be able to soar. The attraction is so new that crews are just now filling up the pool. 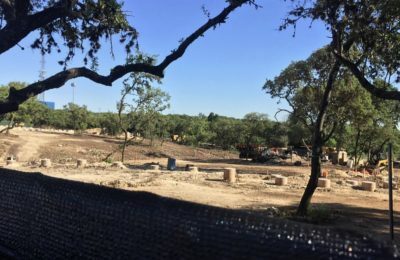 Pictures posted to the official Aquatica San Antonio Facebook page shows off not only the crews filling up pools, but also a fresh new look at the aviary, with tons of trees . Roa’s Aviary is located in the Loggerhead Beach area. Guests can enter by floating Loggerhead River, walking in through the beach, or wading in through the pool and waterfall above. Roa’s Aviary opens this Saturday and will feature many different bird species, including some that are endangered or threatened. 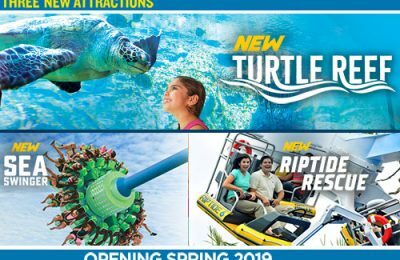 Stay tuned as we bring you more exclusives from Aquatica San Antonio, and be sure to get social with us on Facebook, and follow along with us on Twitter @BehindThrills for the latest updates. Previous PostBusch Gardens Williamsburg kicking off Food & Wine Festival on May 23rd Next PostDisney on Ice to get Frozen in Orlando this September!